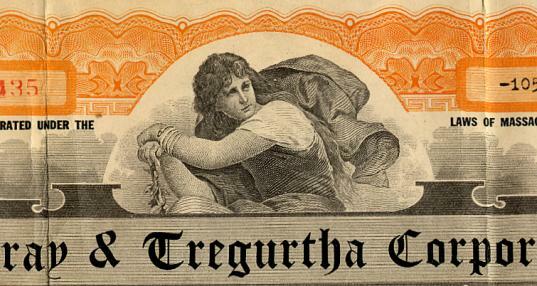 Beautiful certificate from the Murray & Tregurtha Corporation issued in 1920. This historic document has an ornate border around it with a vignette of an allegorical woman. 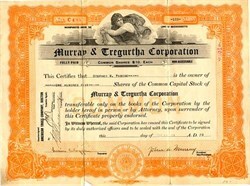 This item has the signatures of the Company's President, John A. Murray and Secretary and is over 87 years old. The certificate shows somes signs of wear. The company built boats and motors for early airplanes.